I’m empty this week so far. There once was a par three caddie contest here until the course was plowed under and used for villa construction. A $10,000 hole-in-one contest was substituted but has now evolved into a three hole closest-to-the pin contest with the winner on each hole receiving $300. Two holes were used on the Plantation Course but the third was an improvisation resulting in an unusual finish. 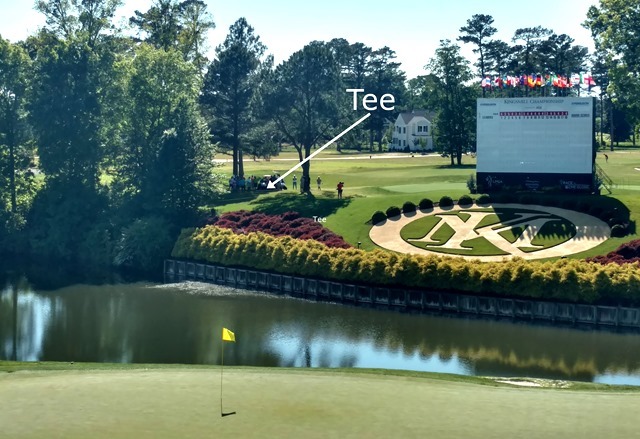 A tee was created among the trees and the eighteenth green on the tournament course was the target. I believe Paul Martinez won the cash on this hole. A cookout with burgers, chicken, salad and beer followed. You are currently browsing the Life on Tour blog archives for the day Tuesday, May 16th, 2017.